Join Bikeskills’ JP Sickler to learn the basics of Bike Park riding skills and techniques, including: dirt jumping, pump track fundamentals, raised stunts and more. 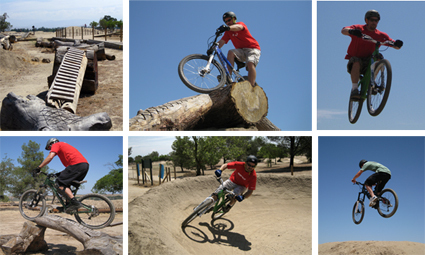 Fresno’s Woodward bike park has an amazing array of riding opportunities – and JP has skills and instructional experience to get you up to speed… fast! For more information on dates and times, click on the schedule icon above.